A bold and exuberant screwball musical comedy that introduced to Broadway the golden talents of Jerome Robbins, Leonard Bernstein, Betty Comden and Adolph Green, On the Town is loved and respected by musical theater aficionados. Starring in the London production was Elliott Gould, not long after he closed on Broadway in I Can Get It for You Wholesale – his big break as a musical leading man, which was an even bigger break for his wife-to-be Barbra Streisand. Gould played the happy-go-lucky Ozzie (a role created by Adolph Green). As Gaby, the lovestruck hero, the London production featured Don McKay, a Broadway singer/dancer with an attractive, boyish voice who had been the first Tony in the hit West End staging of West Side Story. The trio of sailors on leave was completed by another American, Franklin Kiser, as the naïve but determined Chip. A favorite in West End musicals like Salad Days, Gillian Lewis played Claire de Lune (Betty Comden in the original production), and American Carol Arthur was Hildy, the raucous cab driver unforgettably created by Nancy Walker. American audiences know Arthur as a comedic actress (Blazing Saddles) and as the wife of comedian Dom DeLuise, but on this recording she belts out Hildy’s show-stopping, double-entendre-laced “I Can Cook, Too” with joyous abandon. 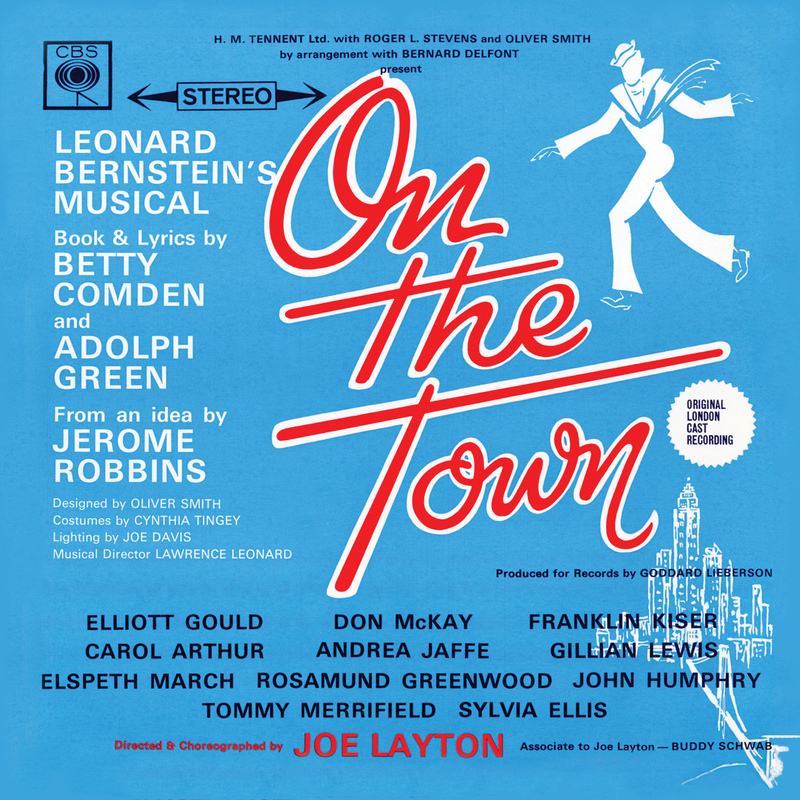 The London recording is the only theatrical cast of On the Town that has been fully recorded.